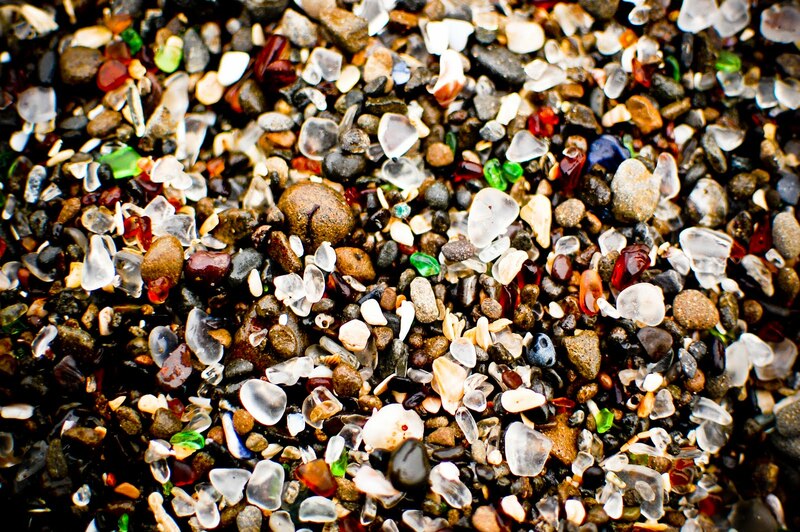 I REMEMBER GOING to the beach as a kid and combing for seashells with my mom — the groans of disappointment when a seemingly perfect prize was broken, the oohs and aahs of excitement when small treasures were unearthed by the rushing current. 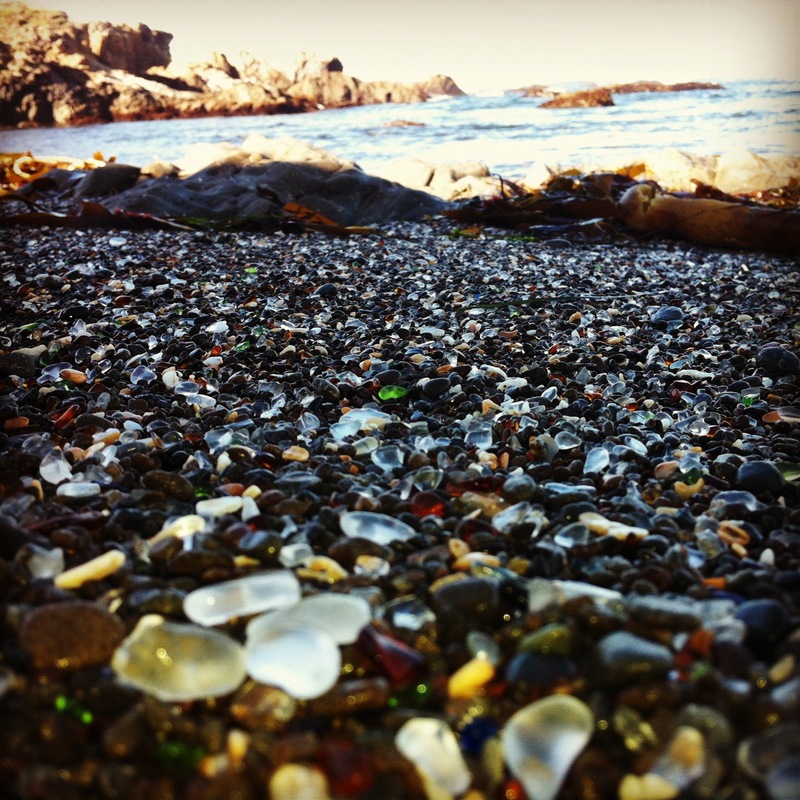 Our favorite discoveries were sea glass — blue, green, or amber, smoothed and fogged by endless turning in the sand. I couldn’t believe something so sharp and scary, something to be avoided in parking lots and on sidewalks, could become so soft and precious. 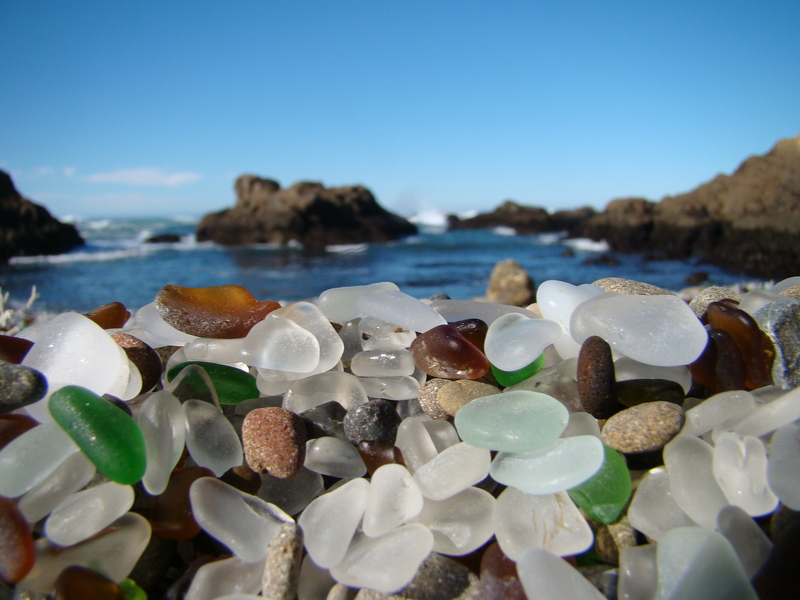 I can’t imagine what my past self would have done had I ever gone to Glass Beach in MacKerricher State Park (near Fort Bragg, California). 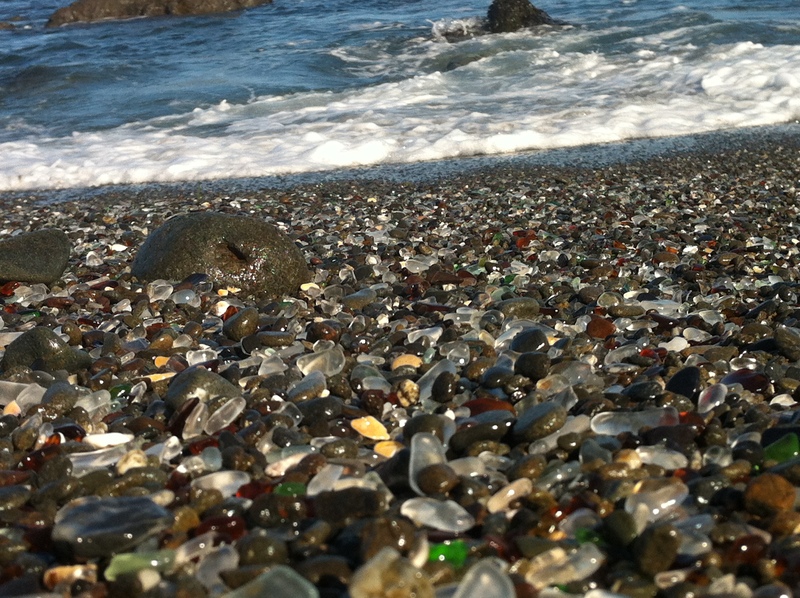 A series of three beaches on the Pacific coastline pebbled entirely with sea glass instead of sand? It would have been like discovering a pirate’s legendary stash, and I can picture myself greedily shoveling fistfuls of the jewels into my pockets. 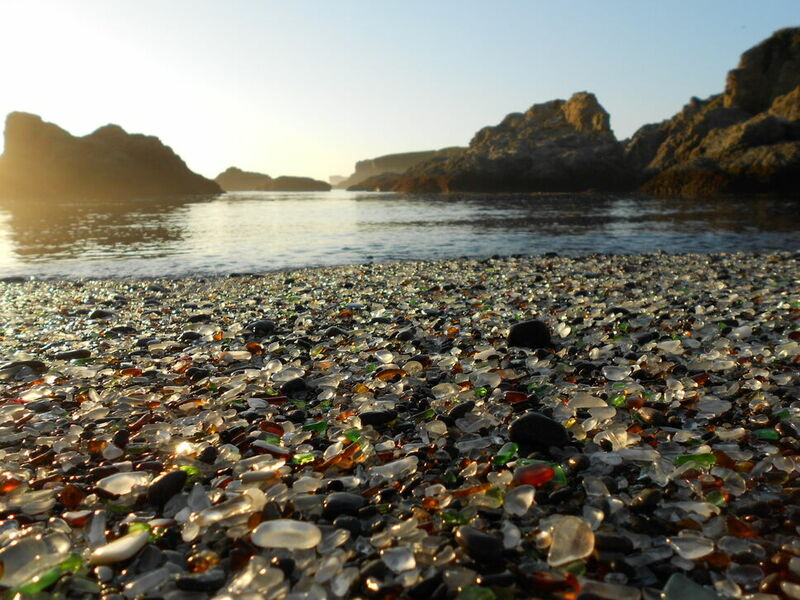 Of course, this special place has a bittersweet history — the glass is not naturally occurring. 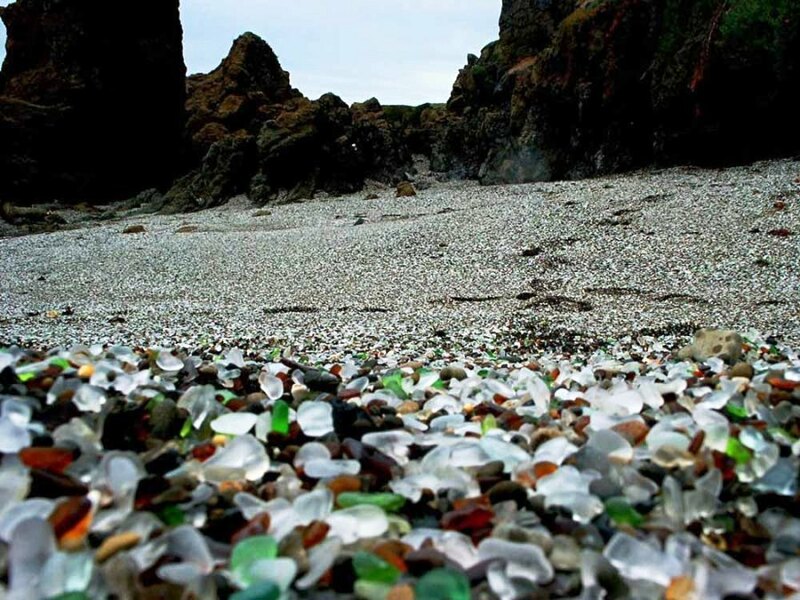 In fact, until 1967, the trio of beaches were known to the local population as “the dumps,” and were the place where residents of Fort Bragg dumped their garbage (usually by dropping it over the cliffs above). Eventually, the mess had become so substantial they attempted to alleviate it by setting it all on fire (which, of course, didn’t work). So the government stepped in and closed the site to the public. Over the years, several cleaning projects were carried out, but in the end it was nature, the endless ebb and flow of the tide, that smoothed the jagged edges and transformed something terrible into something truly beautiful. In 1998, the private owner of the site decided to share it with the world, and after a thorough review by the state of California (and a little last-minute sweeping and scrubbing), this sparkling bit of real estate opened back up to the public in 2002. 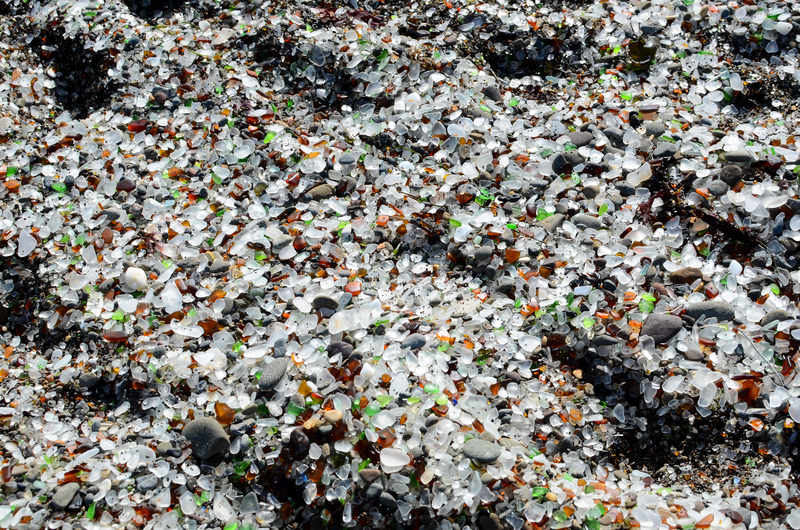 To me, one of the great beauties of Glass Beach is that it’s transitory — it will only be here until nature washes it clean for good.